ashlee nicole spills | blog: Baby Is The Number One "5 Star Stunna." 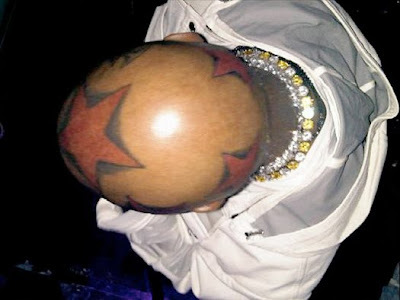 Okay, first it was just one red star in the center of his ball head, now he's added four more. 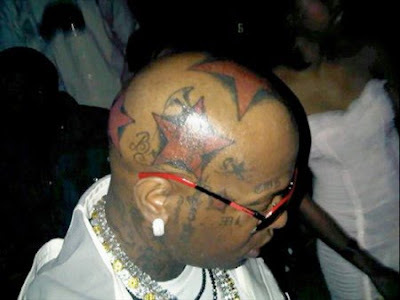 Sir has taken being a "5 star stunna" to a whole other level. WOW! WTF! 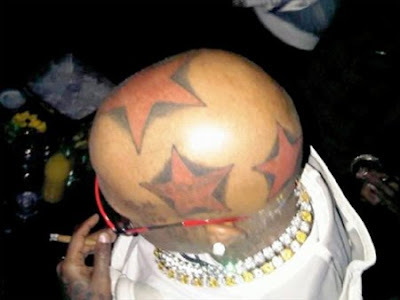 He's out of control...unfortunately he will probably start a trend. SMH!